Startup Games is coming back to Denver, but this time as a one-day headline event at Denver Startup Week! Spanning the week of Sept 24-28, Denver Startup Week is a week-long celebration of Denver’s startup ecosystem that looks at innovations by founders, developers, product managers, designers, marketers, sales teams, and makers. Join us September 26 to go head-to-head in friendly competition during Startup Games' team building tournament for charity! 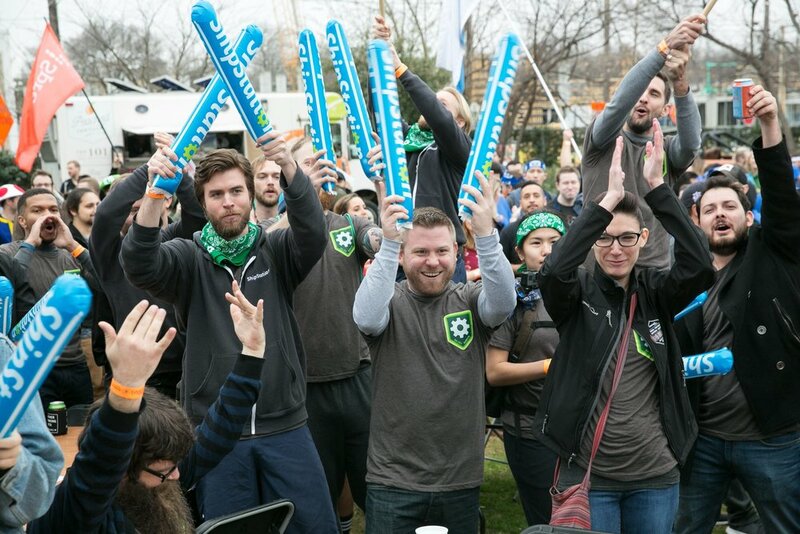 Startup Games is all about fun, networking, and philanthropy. Suggested donations of $250 are encouraged for participating teams. Donations will benefit to-be-announced charities supporting diversity and inclusion, entrepreneurial mentorship, and coding for kids. Walk away with gold, silver, or bronze medals plus the opportunity to present your charity with a giant check during Denver Startup Week! Stay tuned as we will be announcing the mystery game and participating nonprofits in August. In the meantime, check out the full schedule and add Startup Games’ mystery game tournament on Wednesday September 26 from 3:00 - 5:00 pm.